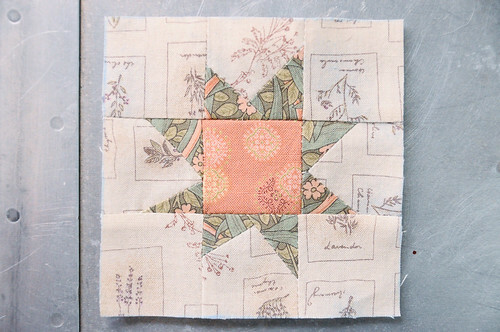 For the first Sunday of the year, I wanted to try out making a Wonky Star block. I used this great tutorial, but changed the dimensions. I cut my individual squares at 1.5″ x 1.5″ and my finished blocks were 3.75″ x 3.75″. They’re so cute and tiny! Wonky Stars are fun to make and really easy. I made them extra small because I wanted to put the blocks on the covers of my new Moleskine cahier notebooks. I like to have a couple blank notebooks on the go to carry in my Birdie Sling for jotting down notes and ideas. For the first one, I used my sewing machine and just zigzagged the block on. I should have used a walking foot for this. Perhaps it wouldn’t have made the block even more wonky. Then, I had the idea to use fusible web to attach the second block. 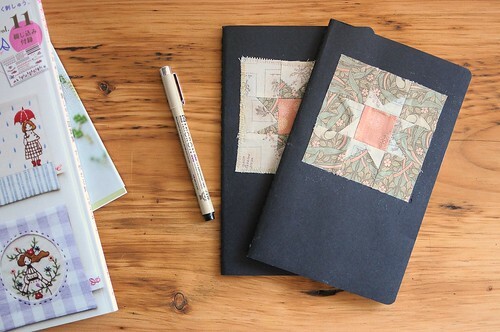 I used Heat N’ Bond from the workroom and simply ironed the block to the notebook cover. Fusible web is such a great thing to have around for craft projects, you can use it on so many materials and it gives an appliqué look without any sewing. 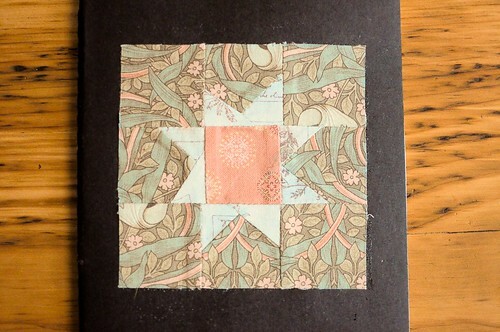 I like the way this block looks on the cover much better, though I’m tempted to stitch over the edges, now that it’s secure. Stars are my favourite blocks to make, without a doubt. 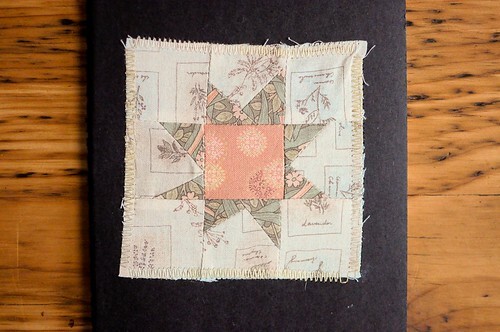 So, I’m going to add ‘making a star sampler’ to my list of quilts to make. I think we need to make Star Sampler a quilt-a-long… I’ve been putting mine off for too long! thanks for this…the mystery is now solved, can’t wait to try it. I just started embroidering on mine, using a Spirograph design.